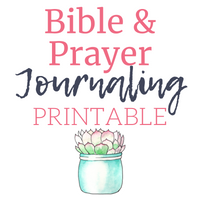 A mega Catholic Journaling Bible post packed with examples of all the different ways you can practice Bible Journaling, pen, tip-ins, stamps and more. 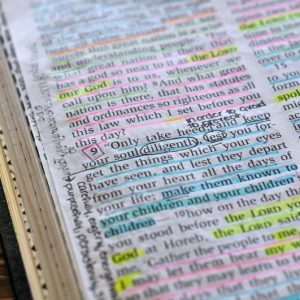 You’ll find examples from some of your favorite Bible Journalers and find some new ones. 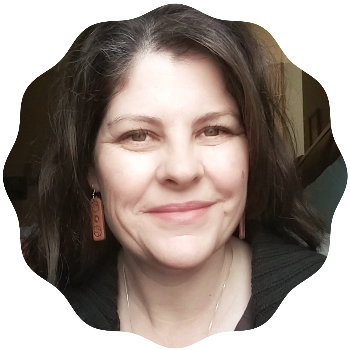 Most of all I hope this encourages you to give it a try if you want to. 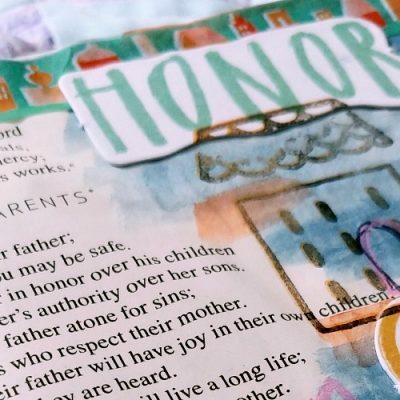 I started sharing my Catholic Journaling Bible process, and veered into a vulnerable post about my self-worth, lack of honor, respect, and how God redeemed and continues to redeem. 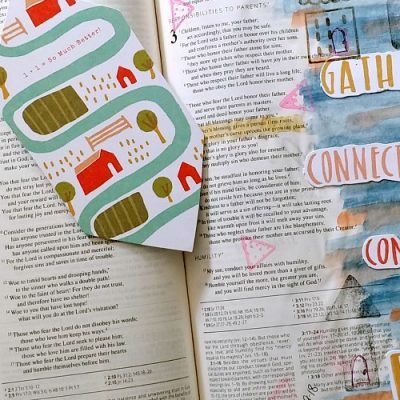 This is another Bible Journaling process post. Don’t be fooled, a kitchen fork is on the supply list, and I had to borrow glitter glue from my kids but needed to make sure it dried clear first. Oh yeah, and I dug out my old hair dryer to use for Bible Journaling. Still think you can’t do it? Think again! 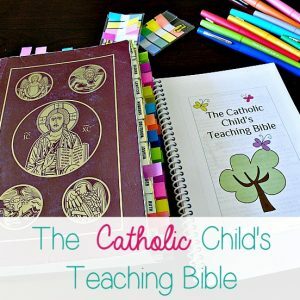 This is one of many Catholic Journaling Bible entries. This one is focused on a the first verse in Isaiah Chapter 60. 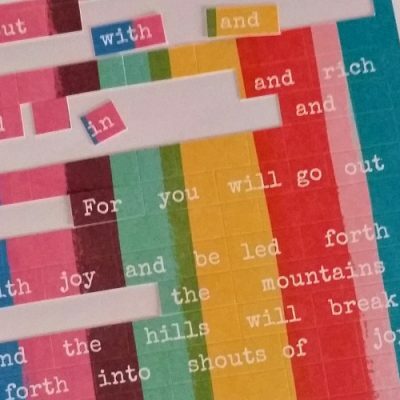 As I was Bible Journaling in this verse, I loved that it called us to basically, “Rise and Shine!” Because the Lord has dawned on us. 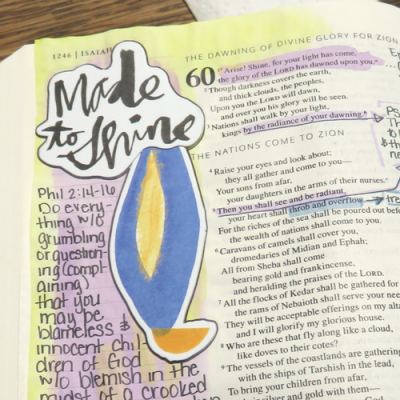 This was a fun verse for Catholic Bible Journaling.